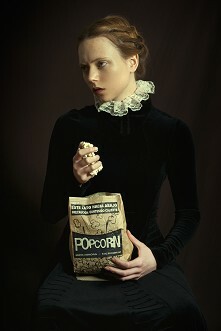 My pick of the week are these beautiful portraits by Romina Ressia. She’s a 35 year old photographer from Argentina. She studied economics but ended up working with photography. She’s been an independent photographer since the age of 25 and has received major success thanks to being identified via social media. She’s worked for Italian Vogue and has had numerous exhibitions around the world such as in Milan, Buenos Aires and New York. You can buy her portraits here.